Ever wonder how many miles of trails are in Lambert Park? So have we! The Alpine Nature Center has made it its mission to count every mile of trail in the park using GPS mapping and walking each trail individually. We thought it might be fun to sponsor a contest to see who can most correctly estimate exactly how many miles of trails there are in the park. Click here for more info and to enter your guess as to how many miles of trails there are. 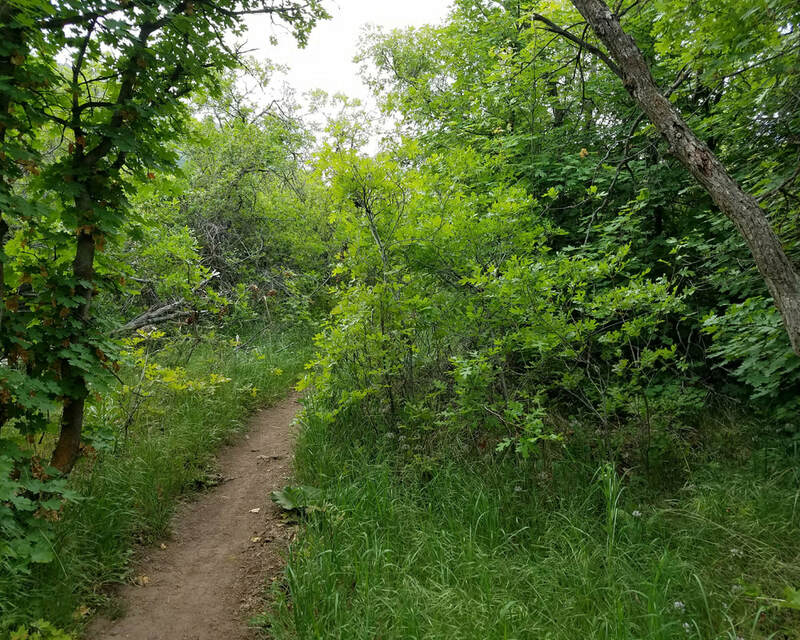 In 2018, each month, starting in April 2018 for six months, the Alpine Nature Center posted suggested nature hikes in Lambert Park that feature different flowers, trees or bushes in bloom. Hike with friends, family or by yourself as you commune with nature and learn more about the natural world around you. ​Enjoy the beauty of Alpine, find some of the many plants and flowers in Lambert Park, take a picture and earn a badge for each completed hike! Find out more in our Alpine Nature Hikes section of Open Spaces. The Monte L. Bean Life Sciences Museum on the campus of BYU has many regularly scheduled activities for all ages. For more information on the museum and its calendar of events, click here. The Hutchings Museum in Lehi, Utah, is hosting courses taught by the International Wildlife Rehabilitation Center in August 2018. The courses are Basic Wildlife Rehabilitation, Reuniting Raptors, and Wildlife Pain and Wound Management. State-funded Custom Fit may reimburse 40% of tuition for successfully completed courses. For more information visit the Hutchings Museum website by clicking here.